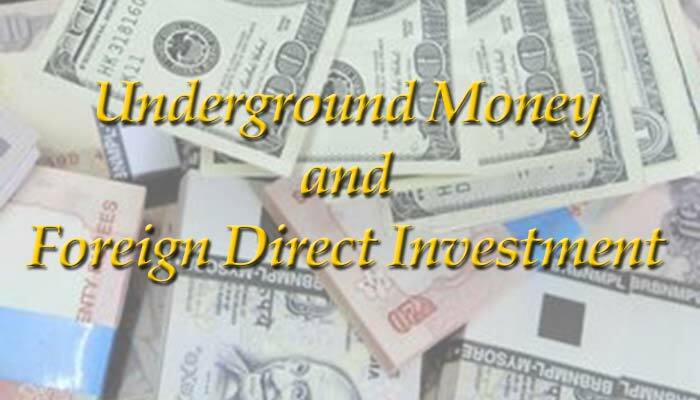 What could be the connection between Underground Money and Foreign Direct Investment. One has the potential of unlocking the economic power of the country, and the other an immediate palliative with negative after-effects. Another disclosure scheme for ‘unaccounted’ money, or ‘black’ money has been announced. A very small percentage of that money will be declared, and the rest will literally continue to remain underground. These schemes do not work because in the whole scenario, the most important factor has been missed out, the human factor. A retributive scheme of taxation has never worked from the time that a system of taxation came into being, a few thousand years ago. What he have today is a carried over colonial system of taxation, which successive governments have tinkered with since 1947. Not once has any government applied their mind as to whether the money extracting system of the East India Company, or the British Raj was suited for an independent India. No one has ever thought of the principles enunciated in the Arthashastra. These excerpts are extremely relevant today. the taxing power of the state should be limited, tax should not be felt to be heavy or excessive, tax hikes should be introduced gradually, tax should be levied in the proper place, time and form, and tax level should be equitable and reasonable. [The taxation system over the last few decades has been unreasonable and inequitable]. Economics works well with resource management, efficient administration, a fair judicial system, knowledgeable people with integrity capable of taking up high positions. [How many governments have measured up to these words of Kautilya]. For Kautilya, good governance was paramount. He suggested built-in checks and balances in systems and procedures for the containment of malpractices. Many postulates of Kautilya’s philosophy of political economy are applicable to contemporary times. Economics is all encompassing, and not confined to an economists neat graphs, charts, equations, trends, and treating a human being as a data point. Human beings act on their feelings and emotions, and when that is neglected, one has a chaotic economy, with an unbalanced taxation system, and a country lands up with an underground economy. The strongest human emotions over the centuries have been linked to money and assets exemplified by Zar (wealth), Zameen (land), Zan (woman). [In a historical and cultural context, a woman, was equated as a possession, and still continues to be so in many societies]. 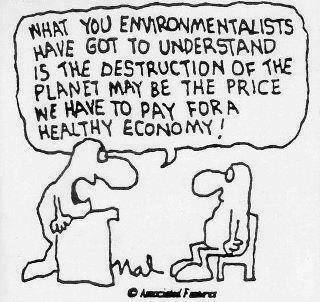 Governments tread on very dangerous ground when they levy taxes without considering the human consequences. It is not an arithmetical exercise, and never will be. Governments who understand this will always have strong economies. To come back to where we started. This money, which if brought into the banking system, would obviate the need for foreign direct investment to a very large extent. Without getting into the morality of naming, shaming, exposing, penalties, we need to focus on what the country requires today. Here’s an approach which I have proposed before, modified in the light of present day requirements, as a solution. Issue bearer bonds with a face value of 1 crore, 10 crores, and 100 crores. The bonds would bear an interest of 2.5% per annum, and be redeemable after 10 years. [Redeemed money is not to be treated as income. The income from its investment into economic activity can then be taxed]. No forms to be filled, no questions to be asked. Designated bank branches would receive the money, check the received amount for fake notes, count the money, and issue the bonds. [Banks would deduct a 10% handling charge to cover their costs. Identities will automatically come to the fore when the bonds come for redemption]. [If black money can become holy by landing up in a holy place’s coffers, it can surely become ‘white’ when it lands up in a bank vault. Money is money and has no colour]. Farmers, Women Entrepreneurs, Artisans, Weavers, Self-Help Groups, Tribals, Micro-enterprises, Village-level Industries and Facilities like cold storages, food and dairy processing, animal husbandry, biomass to energy plants, health-care centres, organic farming, and so on, with an interest rate of 4% per annum, with a cap on the borrowing. To put things in perspective, money is borrowed at 2%–5% per day by vegetable and fruit vendors. [This would boost up the farm sector, the rural economy and the so-called unorganized sector. The cap would be decided by groups of people familiar with the problems in these sectors. No bureaucrat or politician should be associated with these groups. The condition is that the government cannot change the recommendations — since governments exist to carry out the will of the people]. Small Enterprises at an interest rate of 6% per annum, including localised renewable energy projects not exceeding 2 Megawatts. Legislation should be brought in so that banks and micro-lending institutions can lend at these rates. None of the money received by the banks on this account will be available to medium and large enterprises, who will use normal banking or institutional channels for their credit needs. No personal income tax, which would mean that the long list of deductions would also be scrapped. There are other ways of replacing the revenue received from personal income tax. Remove service tax. [This is an unnecessary tax and has only increased the cost of services to consumers without any benefit accruing to them. The poor and the rich are affected equally]. Corporate income tax to be capped at 15%. [This would encourage a lot of companies to set up base in India, and provide an alternative to Hong Kong, and Singapore. Ireland functions with a tax rate of 12.5%]. Along with this would be required lifting the controls on foreign exchange. [Indians will not need to set up offshore companies, and a lot of those set up outside will be encouraged to come back to India]. GST (whenever it comes) to be capped at 5%, with no extra levies. Plugging of leakages in government expenditure. [The Aam Aadmi Party government in Delhi has shown that leakages can be plugged, and the positive benefits for citizens due to this — lower cost of infrastructure, supply of basic services at an affordable cost, free healthcare, good school infrastructure. All in line with the Arthashastra]. There are a lot of supporting regulations and systems which will need to be set up and refined to support these main reforms, to reach a Singapore/Hong Kong level of efficiency, which I’m not covering here. Have just focussed on the main points, which if set right would really make India an economic superpower and improve social conditions of all the citizens. Request that comments be in the directions of improving on the solutions suggested, and not why these things can’t be done. We have had enough of that. Let us have people-guided solutions instead of government directed solutions. This will be a longish piece, expressing thoughts based on my interactions and observations. This is not exactly an academic treatise, so I’m taking the freedom to ramble. You’re welcome to agree or disagree. I shall not be responding to any “this can’t be done” critics. Throughout human history, progress has always been spearheaded by those who believed “it can be done”, and fortunately we have no shortage of such souls in the country. 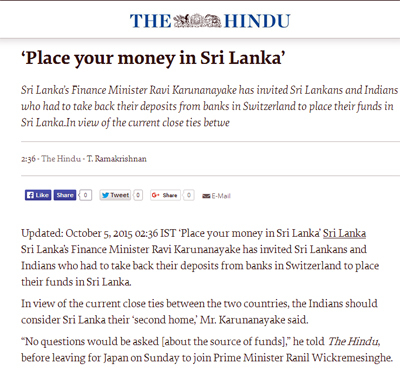 On 5 October 2015 there was a statement by Sri Lanka’s Finance Minister Ravi Karunanayake’s inviting Sri Lankans and Indians who had to take back their deposits from banks in Switzerland to place their funds in Sri Lanka, no questions asked. This was basically about recognizing a practical situation, and converting it into an opportunity. On the other hand India lost an opportunity by bringing forward legislation full of heavy taxes, and penalties. All this while recognizing that excessive taxation was responsible for the flight of capital. (I am not commenting on money received in the form of bribes, kickbacks, proceeds of smuggling, etc., which is spirited abroad, and which is where efforts of the agencies concerned should be directed to). Coming back to the Sri Lankans. India should have allowed the declared offshore money to have been deposited in accounts with micro-financing banks, giving account holders an interest 1% less than the saving bank rate of interest, with a lockin period of say 7 years. That money should have been available for lending on a micro financing basis with an interest rate of 6% and a maximum borrowing limit of 10 lakhs. (This would require amending the rules governing the base lending rate. Everything being interconnected). On a comparative scale, money is borrowed in wholesale vegetable and fruit markets (mandis) at a daily interest of 2% and more. This should answer your question, if you’ve ever wondered about the big gap in wholesale and retail prices. This measure would have improved poverty levels to a great extent, and accelerated the pace of economic growth. While on the subject, there could be be a domestic declaration scheme. Money Bond’s or Infrastructure Bond’s with a face value of 1 lakh each could be issued (no questions asked), bearing an interest of 2.5% per annum, non-transferable, and non-tradable for 10 years. That would make available a really large amount of money which can be spent on building up social infrastructure, economic infrastructure, power and industrial capacity. (Charging 30% tax on declarations and penalties will not bring this money out, from wherever it is stored or hidden). Apart from the fiscal and economic angle, “black” money is connected with electoral funding, which makes electoral reform another component, which requires correction in the scheme of things. (The Aam Aadmi Party has demonstrated that it is possible to fight an election with transparent funding and accounted money). “the taxing power of the state should be limited, tax should not be felt to be heavy or excessive, tax hikes should be introduced gradually, tax should be levied in the proper place, time and form, and tax level should be equitable and reasonable. Kautilya also said that good governance and stability go hand in hand. According to him, there is stability if rulers are responsive, responsible, accountable, removable, and recallable, otherwise there would be instability. (Just having large numbers in legislatures does not ensure stability). From The Hindu, 6 October 2015. Any economic system is composed not just of arithmetical numbers, but people who make that system function, within a business, cultural, and political environment. Everything has to mesh smoothly if the system is to function to the advantage of everyone. India has an unnecessary proliferation of tax departments, (another colonial legacy), all levying different kinds of taxes, which need to be unified for ease of tax collection, and simplifying life for the citizens. Every one says that India needs to grow. To do that it needs to create the conditions for growth. All round economic progress will not be achieved by creating industrial corridors, and making farmers, industrial labour. Millions of jobs need to be created, and big manufacturing units with their penchant for automation, are not going to be able to do that. The micro and small businesses need to be supported and encouraged. 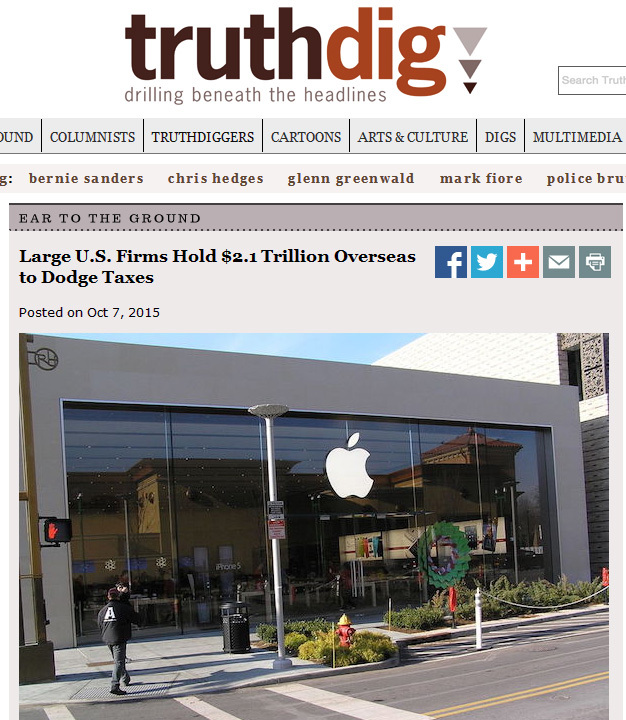 (Figures are available in the public domain for jobs created by big business since 1947, versus small business which has created the majority of jobs). Planners in India need to focus on a larger number of small projects, rather than those of the ultra- and mega- variety, which meet the needs of the people, rather than displace communities, or damage the environment for some kind of mythical growth. (Over 25% of India’s population, mainly rural and poor, has been displaced since 1947 by big dams, and some are still to be rehabilitated). Better to have ten 50 MW power plants closer to consumption centres, rather than have one 500 MW plant. Have a series of smaller dams, rather than one big one. (This would place lesser pressure on the environment, have zero displacement of people, and generate the same amount of electricity as the big one). Encourage and support micro- and mini-hydel projects. Back to Kautilya again: Three principal vocations are recognised as providing men with the means of livelihood namely, krsi (agriculture), pasupalya (cattle rearing) and vanijya (trade). The three together constitute varita (derived vritti —livelihood). For a detailed explanation of the rural scenario, you can read this excellent article by Subir Roy. India needs to grow every sector, particularly agriculture and agro-based industries, otherwise there will be no food to eat, and migration pressure on cities will grow. We need thousands of smart villages and towns, rather than smart cities. The investment required will be many degrees less than that required for cities. (Why should people have to come to cities for work). We have overcrowded metro cities full of slums, thanks to politicians not having a clue about urban planning. We need integrated facilities set up in rural areas, so that one has renewable energy and waste-to-energy plants in a series of inter-connected micro-grids, for power; use heat recovery from them for refrigeration (cold storages) and air-conditioning, for storing vegetables and fruits, to be used for food processing, milk and dairy products, and so on. What is also required to move this forward is an infrastructural network of rural roads, telecommunications (internet connectivity), and marketing support. An example of what can be done: Sugar Mills. This is from a personal observation at a sugar mill, which wanted power to be generated from bagasse. There was enough sugar left over in the bagasse after crushing to be used for extraction of ethanol. The resultant bio-mass could then be gasified and used for power generation allowing for complete usage of the bagasse, rather than just burning it in boilers. According to International Energy Agency estimates, an integrated sugar cane to ethanol technology, the well-to-wheels CO2 emissions can be 90% lower than conventional gasoline. Brazil (which uses ethanol blends for fuel), is considering using sugar cane for production of ethanol only rather than sugar. The waste heat from power generation can be recovered through primary and secondary heat exchangers for refrigeration and air conditioning. One can then have a cold storage facility along with a sugar mill, at practically nil operating cost. There are many more things like this which can be done. The brain power is available in the country. Effect: It will stop rural migration to cities, and increase the spending power of the rural population. A lot has been written and spoken about making it easier to do business, and how we wish to rival Singapore, Hong Kong, and other financial centres. To get anywhere near them we require to change a few basic procedures. one should be able to incorporate a company in one to two days; (Estonia is offering it online in 20 minutes). restrictions are removed on Forex transactions, (with sensible checks and balances). As a reference point the foreign exchange reserves in billions of dollars are: India: 355.459; HK 343.213; Singapore 251.921. (October 2015). A 0.075% transfer tax can be levied, in case an Indian bank is just being used to transfer funds. Effect: Indian companies who have established off-shore companies, would be able to operate from India with Forex transactions not acting as a restraint. A lot of foreign companies would find it viable to establish a base in India, rather than say in Hong Kong or other places. India has a lot to offer in terms of things to be done and market size. There would be an all-round improvement in the economic climate in terms of investments, new businesses, and employment generation. Others besides me have felt that levying personal income tax is not necessary. It was a wartime tax and should have been abolished on attaining Independence. Had posed a question to Doctors Bimal Jalan and Montek Singh Ahluwalia in a casual conversation, at a book release function in 1991: Why didn’t they work out a plan for doing away with income tax. I got a smile from both of them. However implementing this change will require a radical shift in mindset by the government. A start can be made by dropping the personal income tax level to a flat 2.5%, to be levied on incomes above 5 lakhs, and 5% for incomes above 25 lakhs, with no exemptions and deductions. This will make returns simpler, reduce a lot of paperwork, and free manpower in the Income Tax department for other tasks. Since taxes are required to run the nation and public services, other sources of taxation need to be tapped. Basically we need to go to a purely consumption based tax system. (Everyone is a consumer, rich or poor, old or young, buying goods or services). For example let us take city of Delhi, and within Delhi, two areas, Karol Bagh and Chandni Chowk. There are any number of street vendors, (sweet meat sellers, vegetable & fruit sellers, flower sellers, roadside eateries, small shops, sellers in weekly markets, etc. ), who don’t pay any tax, and they number in the millions. Add to them very small makers of biscuits, bakery products, confectionery, other food items, and other manufactured items. Levy a 0.5% turnover tax on their daily sales. Since everyone now has a bank account, (more or less), they can be linked to it with a Tax ID, like the Permanent Account Number (PAN). The Aadhaar Card should not be used, since we already have the tax system linked with PAN. Young men and women can be organized to visit each vendor physically in designated areas, with a dedicated Tablet, at the beginning of the day, to get the previous days sales figure, and transfer the tax due to the tax department online. The transaction can be authorized by the vendors over their mobiles. This system will avoid accounting creativity of gross profits, nett profits, etc., by linking the tax to the turnover. One may have to think in terms of late night cash collection centres, a reverse of a third-party payment bank, which can credit the bank account of the vendors, without the vendor being required to visit his bank branch for deposits. The cash collection centres can be jointly owned by all the banks. Effect: Revenue generation, and employment generation for the youth and the retired. According to the Ministry of Housing and Urban Poverty Alleviation, the number of street vendors is 10 million. Their website say that Mumbai has the largest number of vendors, at 250,000, Delhi has 200,000, Kolkata, more than 150,000, and Ahmedabad, 100,000. The actual numbers may be larger than that. Service Tax levels should not exceed 5%, and should ideally be between 1% and 5%, (remember “collect taxes like a honeybee”. A similar approach should be followed for sales tax, VAT, etc. There should be no service tax on bank transactions, credit card bills, and similar transactions. No multiple taxation. If one goes out to eat food, one pays a single tax. One’s bill shouldn’t look like a complicated financial statement. Taxes and charges levied on passengers travelling by air are a typical example. You’ll notice that the taxes and charges at Rs 2,906 are nearly 2.6 times more than the base fare. Why should there be so many surcharges and taxes. 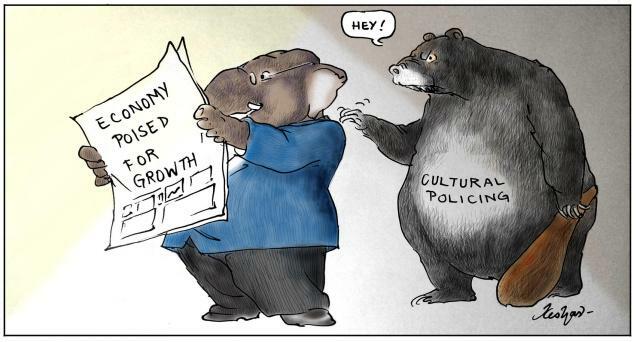 Air travel is also part of the economic growth process. (A lot of other things require straightening out in the aviation sector, but that would require a separate article). There is a need to reduce the tax collection points for manufacturing and distribution. The retailer should not be a part of the process. There should only be two points of collection, the manufacturer, (excise and sales tax), and the distributor, (any local taxes). There have been certain anti-customer moves by banks in India over the last few years. Minimum balances for ordinary savings accounts, with a debit card, (daily cash limit — Rs 50,000, PoS — Rs 1 Lakh), cheque book (20 leaves), and internet banking, should be between zero to Rs 500. This will take care of a bulk of bank account holders. Private banks are the biggest culprits in this regard, with minimum balance charges 10 to 30 times of those levied by nationalized banks. Moreover they do not offer any special facilities, which a bank like SBI with zero minimum balance requirements offers. There should be no minimum balance charges leviable on savings accounts. Otherwise these become accounts with negative interest, when the minimum balance charges exceed the interest paid. Banks are free to offer premium accounts with higher minimum balances to those who wish to opt for them. ATM’s were supposed to relieve pressure on the staff at bank branches. 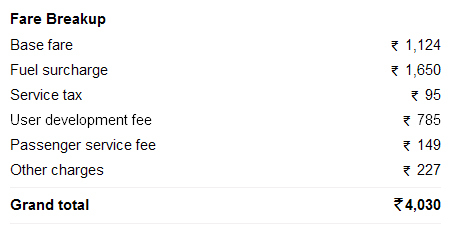 Now all of a sudden they are complaining about costs of operating ATM’s, and the RBI was happy to go along by limiting ATM withdrawals to 4 a month. These need to be brought up to 15 withdrawals a month. 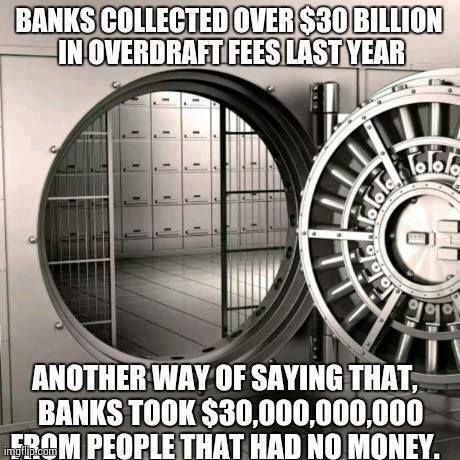 In fact going a step further, banks should stop operating individual ATM’s, since they say they are losing money. Hand over all ATM operations to White-Label ATM’s, which have been growing at a slow pace so far. The cost of ATM operations for banks will come down and customers will not be penalized. There are other charges too, but these are the two main sticking points. It may be worth getting a CAG audit done especially of private banks to see how much they earn by way of penalties, levies, and other such charges. They are always very happy to announce their profits, perhaps they can inform their customers where those profits come from. Mother Branch: In an era of computerised all-branch banking, and scanned signatures and photographs, customers should be able to get things like passbooks or other documents issued by any branch, rather than be told to go the “mother branch”. (One should be able to get a physical verification done at any branch). If we have projects, then we require environmental clearances, and India’s record on this front especially for large projects, is not a happy one. The Uttarakhand disaster was a prime example of “bending” rules. Since clearances are given by government authorities, there is a conflict of interest situation, when the same authorities are involved in the preparation of EIA’s and SIA’s. Preparation of EIA’s and SIA’s, could be done by organizations like the Narmada Bachao Andolan, Greenpeace, Centre for Science and Environment and the like. A copy of the report could be filed with the National Green Tribunal, to be referred to, whenever required. This would prevent EIA reports saying that land is barren, when 3 crops are being grown on it, or a SIA report in favour of a port site, ignoring hundreds of fishermen and their families who will be uprooted and having their fishing catchment area destroyed. A last thought. This is what happens when governments follow skewed taxation systems, and then insist that other countries help them recover money, which has been deposited there because of their high taxation rates. This was supposed to be about things to be done for ease of business, but like all other human activity it encompasses a lot more than just making rules simpler for establishing businesses. What is required is simplification of rules and procedures across the board, and removal of a lot of unnecessary irritants. Have only pointed out some examples. A lot of changes are necessary if India is to become a super-power, otherwise all the grand plans will remain dreams.